Hello there lovelies! 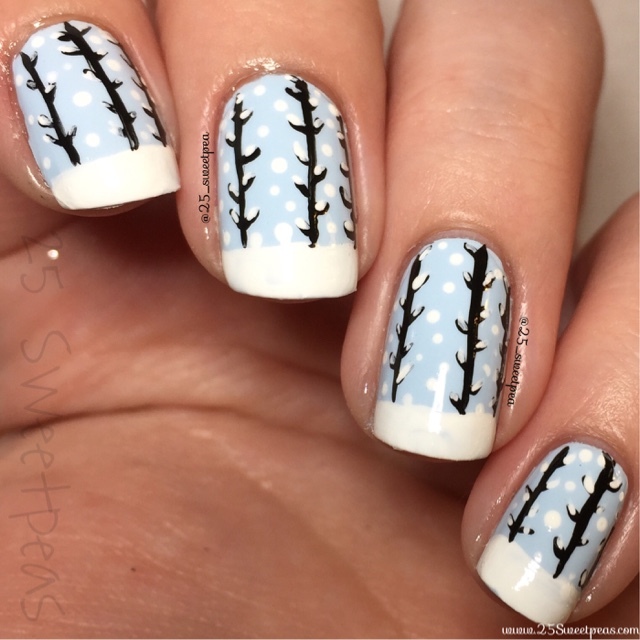 It's Thursday which mean it's time for #themedthursdayjan and today's theme is Winter Wonderland. Now I know some of you may be sick and tired of snow. I've been watching the weather channel and some of you got a lot of snow! So I hope you are all staying safe and enjoying it! Now who wants to see some nails inspired by cookies!? These nails were inspire by cookies posted on Instagram by Sweetambs here cookie decorating skills are just crazy! Her Instagram is so inspiring, if you have never seen any of her work you must check her out! You will be in awe. 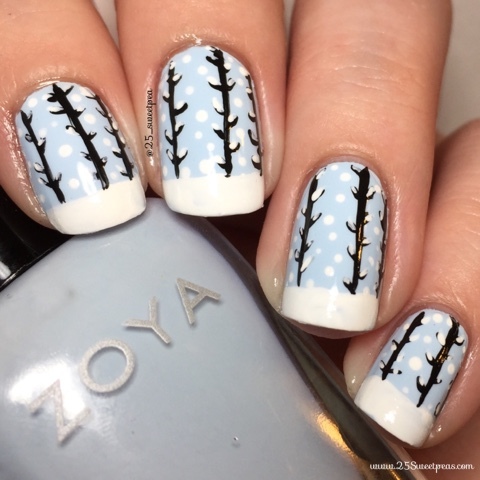 It's a pretty simple mani to do and it's not one that has to have perfect lines so that is always nice. A lot less pressure when your lines are ok if they are a bit wobbly. Well I hope you all enjoyed this post! I know it's a bit short but at the same time it was longer because it had a video. If you all have any requests let me know and also let me know what you all thought of these!